How to Change the Credit Card Information? You are here: Home / Administration / How to Change the Credit Card Information? Click on the “Billing” from the left navigation then on the ‘Plan’ Tab. 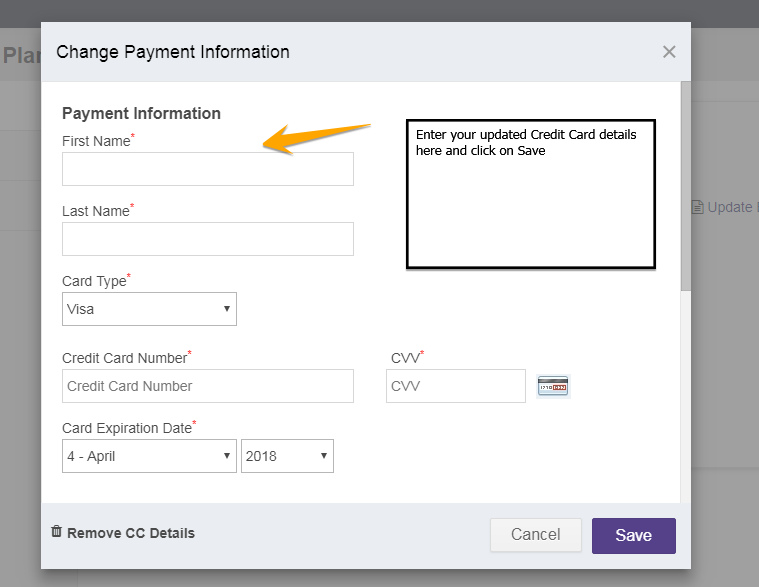 Here click on ‘Change Payment Information’ and update the new credit card details. Click “Save” to ensure that all your changes are stored.